Queen duvet cover (88" x 88") featuring the image "Passage Of Arms" by Pat Speirs. Our soft microfiber duvet covers are hand sewn and include a hidden zipper for easy washing and assembly. Your selected image is printed on the top surface with a soft white surface underneath. All duvet covers are machine washable with cold water and a mild detergent. There are no comments for Passage Of Arms. Click here to post the first comment. 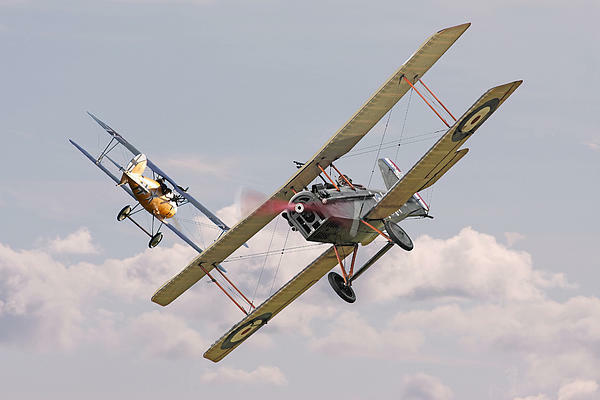 Passage of Arms - SE5A and Albatros The advent of the SE5a did much to offset the dreadful losses of April 197 - known as Bloody April in the RFC. 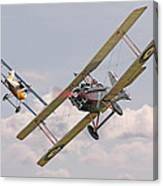 During the three weeks of that April offensive, mostly around the Arras area, the RFC squadrons lost 245 aircraft and 320 crew members (108 as POW) to the German squadrons with their newly arrived Albatros aircraft. 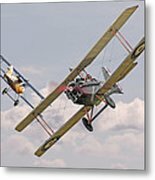 As the SE5A came into service so the tables turned and the RFC never again fell so far behind in the technical aerial battle of WW1. 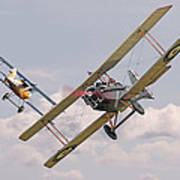 The image depicts ahead-on passing attack, with no effective result this time, and each aircraft break away to turn hard for another attacking pass - the victory would go to the more experienced pilot, the loser would not return.